Recently I did an engagement photo shoot for a friend of mine. I loved how a lot of the photos came out post-production. I like to add a little oomph to my photos after I bring them into my computer. A lot of the time I just add sharpness or brighten up the contrast. Sometimes, I like to put a slight filter on them. I do this to enhance the photo and make it look even better. So, since we are approaching the holiday season (and many of us take a lot of candid holiday family photos) why not talk about some simple tips to help make your photos pop even more? I'll use some of the photos from my friend's engagement shoot as examples. Photos on the left are raw (unedited) and photos on the right are edited. Also, I do not have photoshop. I pay for a Royale subscription of PicMonkey and used that for these photos. 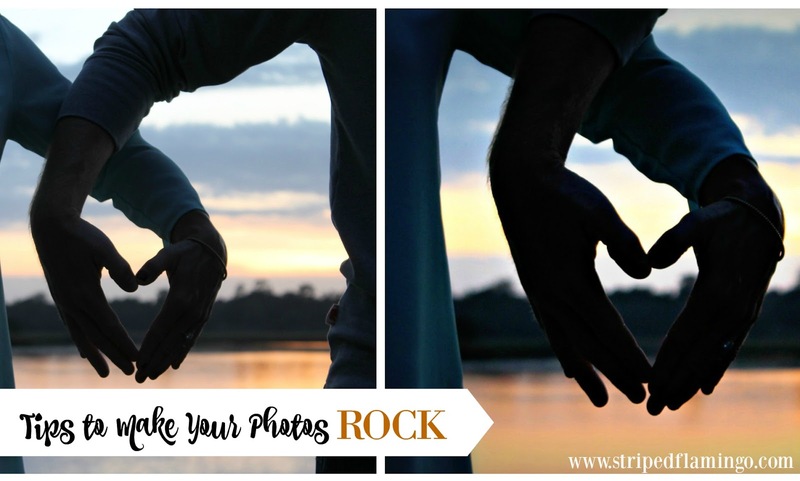 PicMonkey also has a free option that is available to anyone. Filters really changed this one incredibly. The only other thing I did was sharpen the figures in the photo. I used the Dusk filter at about 20%. I could just keep sharing how much I love using slight filters. 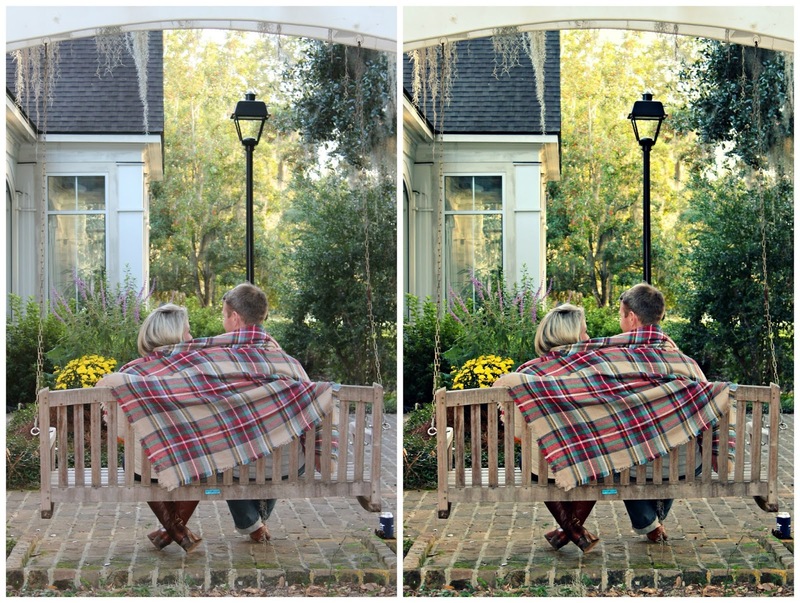 You can really change the entire look of a photo just from the filters. Increasing the color saturation or vibrancy in a photograph can really make it special. While I do still love the original, I wanted the colors of the scarf to pop. I increased the color saturation a little and added a filter. It really made little details like the moss on the bricks and the scarf pattern stand out. 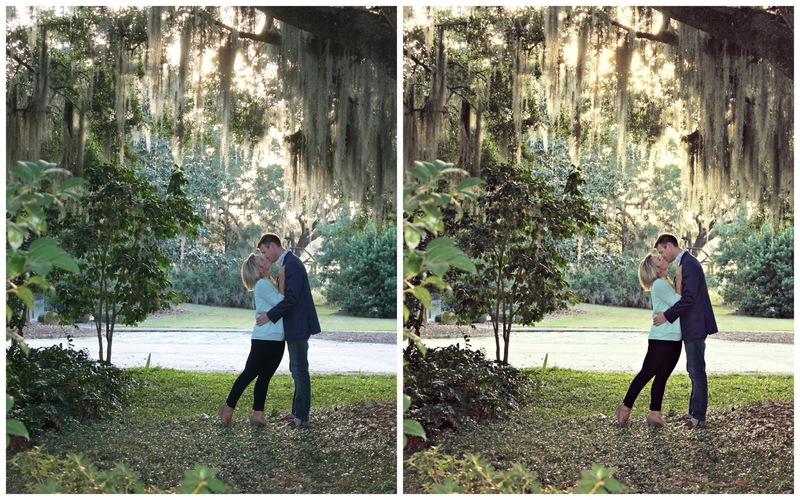 I added a filter to this one (which is why the colors are slightly different) but, more importantly, I used the softening tool to soften the trees and grass around the couple. This gives it a bit of a focal/3D effect that I love. It also immediately draws your eye to the couple...which is what we want! There are a lot of free filters and options on PicMonkey to use as well. You don't need to pay for a subscription to utilize this awesome tool. And no, I don't work for PicMonkey nor am I being compensated by them. I just like making my photos look good! They look great! I particularly love the one from behind with the blanket. I will typically clarify photos and straighten them, especially landscape shots!